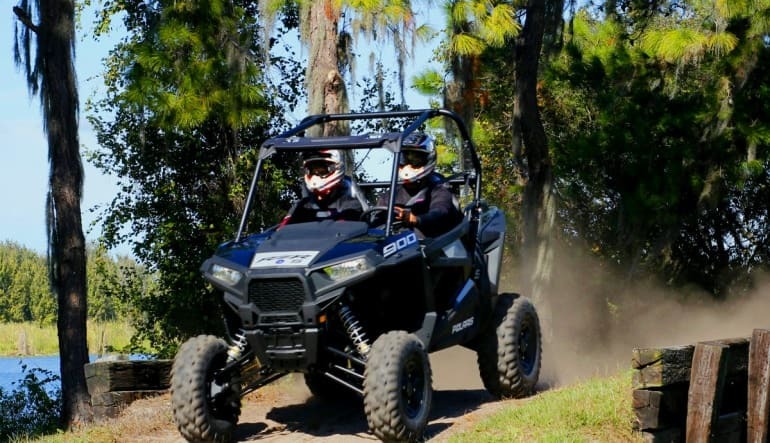 Get off the city streets and take to more rugged terrain side-by-side with a partner in crime on this Orlando area RZR drive! 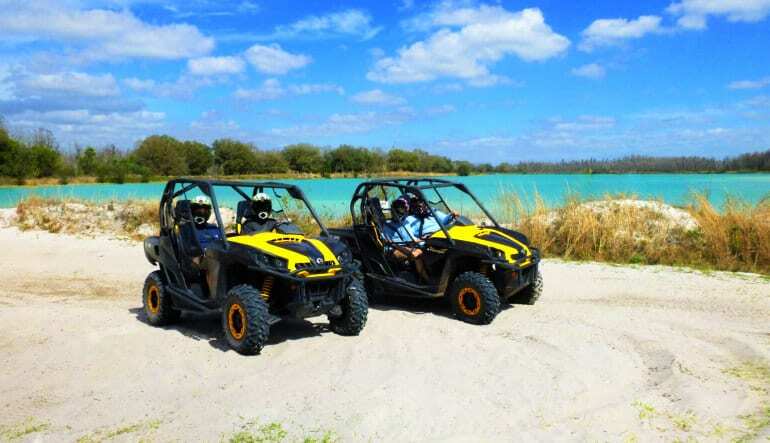 Set on 230 acres of pristine Floridian land, the tracks of this experience offer all the off-road fun you could want. 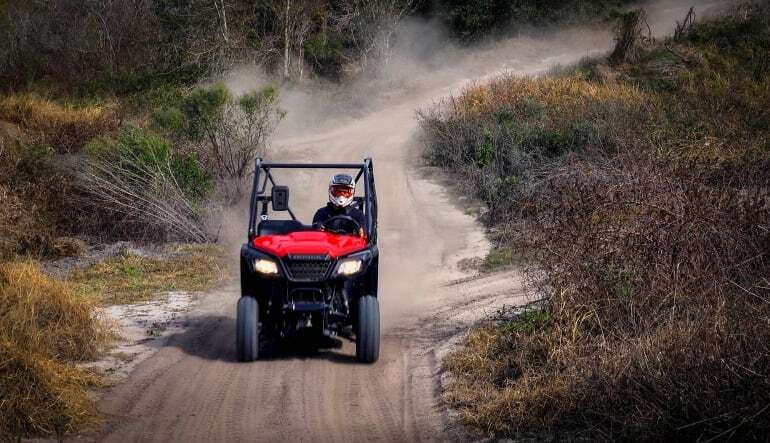 And after a safety and operation training on a specially built mini training course, you’ll rev the throttle and hit the trails for 70 minutes of rough and tumble excitement. 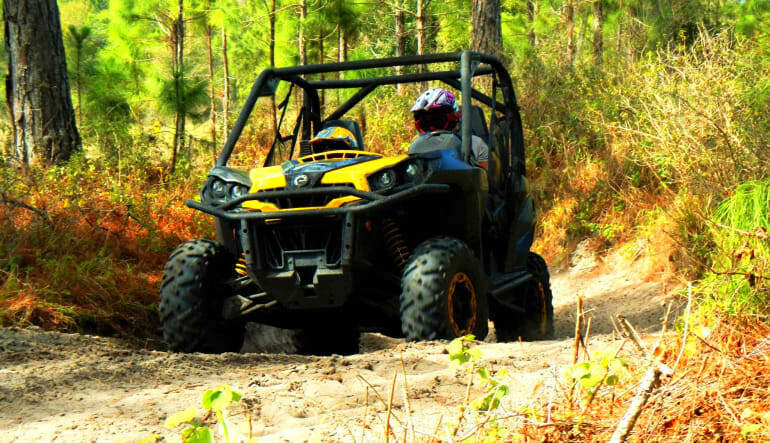 Various track terrains include dry dirt, sandy tracks, and grass, interspersed with small hills for extra thrills. 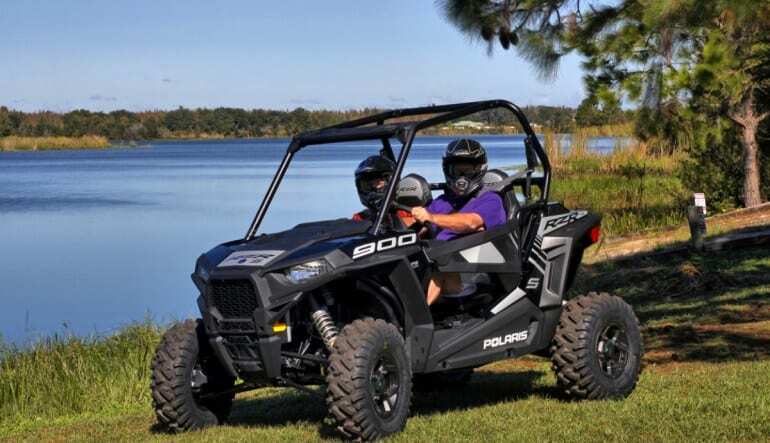 Thanks to local weather patterns, you may even get to do a little light “mudding” as you traverse the trails! There’s even 60 acres of conservation area included so keep an eye out for native Central Floridian wildlife as you navigate. Old clothes as you are likely to get dirty!